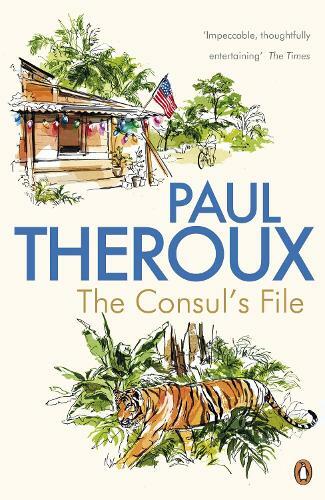 Award-winning writer Paul Theroux takes us on a journey through small town Malaysia through the eyes of the exuberant Spencer Savage in his breathtaking novel The Consul's File. Spencer Savage, a young American consul, is posted to Ayer Hitam, a small Malaysian town, in the 1970s. Told to close down this remote outpost in the sweltering jungle, he instead finds himself drawn to the many characters he meets among the Malays, Indians, Japanese, Chinese and the clubbable expat Brits. Through his eyes we see the rich tapestry of multi-ethnic life in post-colonial Malaysia, from adultery to murder, from ghost stories to the murky waters of diplomatic politics. It is a brilliant portrait of a vanished time, a lost landscape and scattered peoples. American travel writer Paul Theroux is known for the rich descriptions of people and places that is often streaked with his distinctive sense of irony; his novels and collected short stories, My Other Life, The Collected Stories, My Secret History, The Lower River, The Stranger at the Palazzo d'Oro, A Dead Hand, Millroy the Magician, The Elephanta Suite, Saint Jack, The Family Arsenal, The Mosquito Coast, and his works of non-fiction, including the iconic The Great Railway Bazaar are available from Penguin.